Get cash for your car in Idaho today! Sell your vehicle today and get immediate payment when we pick up your car. We purchase cars in every city in Idaho, sell your car in Idaho now. Easy – Only takes 3 easy steps to get cash for cars in Idaho. Price – Due to our extensive network of buyers/auctions throughout the United States, National Cash 4 Cars is able to offer you the highest price for your car in Idaho. Free Pick-up – Our drivers are able to come to all cities in Idaho to pick up your vehicle, and give you your money on the spot. Convenient – We serve every single city and market in Idaho. Cash for Cars in Idaho today! Courteous – National Cash 4 Cars works with its customers in Idaho to ensure the smoothest selling experience, and strongly values the lifetime partnership with our Idaho customers. Stress Free – National Cash 4 Cars buys any make or model, running or not. We buy used vehicles in all types of conditions. Get top dollar in Idaho today! Expertise – Over 50 years of automotive experience, we are standing by to purchase your car in Idaho today! Many people do not understand the advantages of working with a cash for cars company. The fact is that a person may be able to get more money for his or her car by selling it to an individual, or taking the car apart and selling the parts that are still in good condition. However, many people do not realize just how easy it is to sell a car to a cash for cars company. While it may take weeks to sell a car to an individual buyer, a cash for cars in Idaho will make a price offer the very same day that one contacts the company. The seller will then be able to get money in hand either that day itself or the next day. Selling a car to a cash for cars company is the easiest way to get rid of a car quickly and/or sell a car that is no longer in good condition. Cash for cars companies are not picky about what condition the car is in. In fact, such companies pledge to buy any vehicle in any condition. Naturally, the condition the vehicle is in will determine how much a cash for cars company will pay. The company will not only want to know what the vehicle looks like and its year, model and make but also ask about the mileage, engine and transmission condition. A vehicle that can be driven will usually fetch a higher price than a vehicle that does not have a working engine. If the vehicle has special features installed, (i.e. a video player, new CD player, alarm system, etc) then one may want to call the cash for cars company and provide a well rounded explanation of what the vehicle has to offer. Sending in photos to the company is a good idea; most companies make this optional on their web form. Be sure the form is completely accurate and that it provides a detailed description of what the vehicle is like. If a person feels that a price quote provided by one cash for cars company is too low, then he or she can contact another company to ask for a quote. In fact, it can be a good idea to get in touch with a number of cash for cars companies and see which one offers the best price. Companies that have branches throughout the United States can usually offer a better price than local companies. National Cash 4 Cars is a good company to work with, as it has a reputation for not only offering a good price for vehicles but also making the selling process quick and simple for the seller. 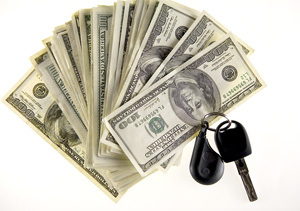 Selling a vehicle to a cash for cars company enables one to get rid of an old vehicle and get immediate cash in hand. The process is simple and straightforward, as much of the work is done via the internet. While there are various methods for selling a car, none are as simple or fast as selling a vehicle to a cash for cars in Idaho.